The Local Health Insurance Office (LHIO) Koronadal located within the same compound of the Regional Office has its new site inaugurated after the first Friday mass on February 7, 2014. 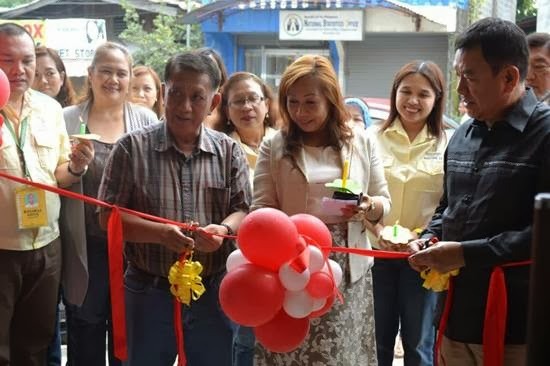 “This new office will somehow help us serve our clients better because on the average in January this year we are already serving at least 560 clients a day,” LHIO Koronadal Head, Nonito Bayaras said. On February 3, 2014 alone, more than 600 clients came; 60% of which had membership concerns; 37% for payment and the rest for other transactions. Like other LHIOs, said office houses frontline personnel who serve and entertain clients for registration, collection, submission of claims and other related concerns. and FOD OIC-Chief, Lorelie G. Bonilla. The Chief Operating Officer and concurrent Area Vice President for Philhealth Mindanao, Ramon F. Aristoza, Jr., Formal Sector Senior Manager, Dr. Nerissa Sugay, CARAGA Regional Vice President, Johnny Y. Sychua and lessor, Dr. Angelino Español led the inauguration. Arlyn Lee of Ox’s Enterprises said that it is better and more spacious compared with the old office, more organized and less congested.